Kangappadan Residency is a popular name in the Thrissur hospitality circuit mainly due to its close proximity to a number of important landmarks. 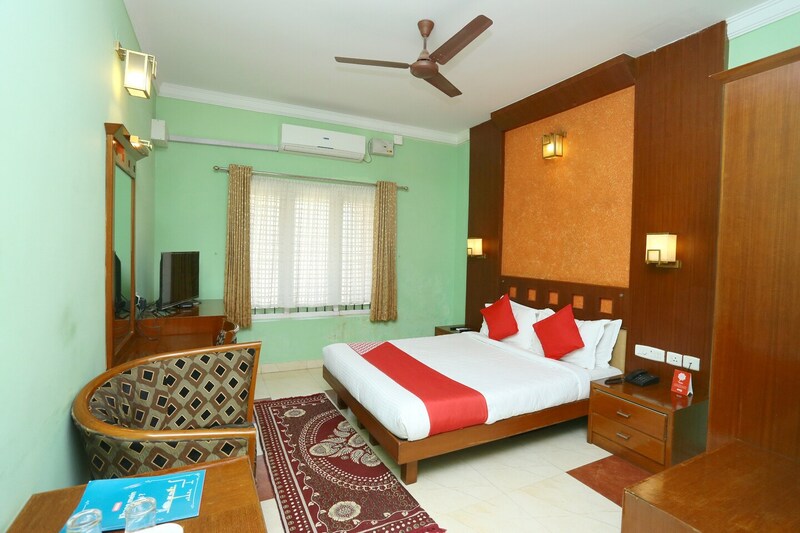 The hotel is located within the locality of Mannumkad in Ramavarmapur in Varanasi. All the rooms exude a homely feeling. The rooms are spacious and have been designed with a number of elements of the contemporary design. The rooms are very thoughtfully designed and are well-furnished. All the rooms are well-lit and bold, and bright colors have been used to paint the walls of the room. The curtains used in the rooms are also boldly colored and are used to cover large windows in each room. The hotel also provides some extra facilities like CCTV cameras, wheelchair accessibility, a common seating area, a bar, parking provisions, and free Wi-Fi. The front desk service has been decorated elegantly and is surrounded by a well-furnished reception. The hotel is surrounded by a number of essential facilities such as the Kuttumuck Sree Mahadeva Temple, St. Thomas Church Villadom, Viyyur Police Station, Parade Ground, Primary Health Center, and Andunny Devar Siva Temple.